17 Jun 12, 11:39 how to analyse markets? You are an inspiration for me. I read your site with the intention to learn to manage my little savings, but also to have an insight into this very interesting field of finances, always very challenging, frenquently doing the opposite than expected, a pandora box for the novices. Please would you orient me onto how to think about the markets and analyse them? What elements to consider? Where to start? Thank you very much for creating your site and sharing your experience and knowledge. ps: I am aware this is not the especific topic of this article, and an answer here might not be entirely appropriate, perhaps it deserves a different post, and there is absolute not need for you to post or answer the comment or message if you think it should not be here. Feel free to edit it as necessary. I own an Italian Postal Bond (Buono Fruttifero Postale) 5yrs old. Will it get affected like the Italian Bonds? 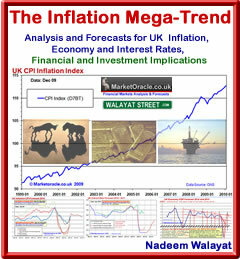 19 Jun 12, 08:19 What inflation mega trend? Don't make the mistake of falling for BBC propaganda ! It now takes the UK to be IN recession to get sub 3% Inflation. The UK and much of the world is in an Inflationary Depression. UK has had official inflation of 15% over the past 3-4 years, Greece 10%. And real inflation is TWICE the official rate i.e. 30% and 20%. That IS the Inflation Mega-trend, NO DEFLATION. Instead the inflation cancer is EATING YOUR wealth and purchasing power of your earnings which is why most are suffering as costs keep rising that wage rises do not match ! A simple test - Compare your current weekly grocery bill to that of 3 years ago, how much has it gone up by ? 50% ? 75% ? 100%? What inflation mega trend? USD held its value for the entire 19th century, then since the inception of the FED it lost 96% of its value. Other currencies, except for CHF, lost more. 2.8% inflation? Well, butter prices rose 150% in the last 7 years, homes rose 100% in the last decade, travel and airplane tickets rose 100% in the last 6 years, fuel 100% in the last couple of years. Don't tell me about computers, because they are made more and more cheaply and are bought for borrowed money. In addition to the dilution of purchasing power of the currencies, we are experiencing dilution of value of products because of planned obsolescence and cost cutting, shrinking groceries and less food in food megatrends. This modern economy vows to eliminate anything that holds value. I don't force an analysis, there is no time table, I follow where the questions that I am constantly asking myself lead me, which may be far removed from the markets. 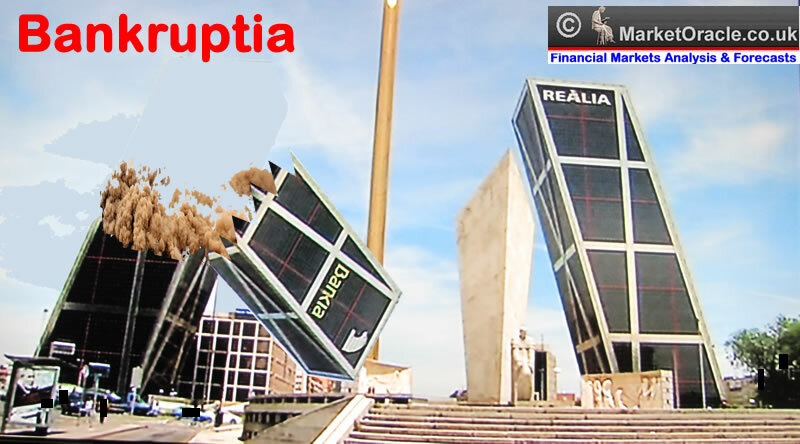 For instance the recent series on the debt crisis. However, all of the time bubbling away under the surface is what does it mean for the markets. Technical analysis is only useful in the last stage of analysis. The mistake that most make is to be focused wholly on technical analysis. I KNOW Technical analysis on its own is USELESS, worth less than a coin toss. So all this you hear about how wonderful a particular theory or tool is, I KNOW on its own it is worthless. 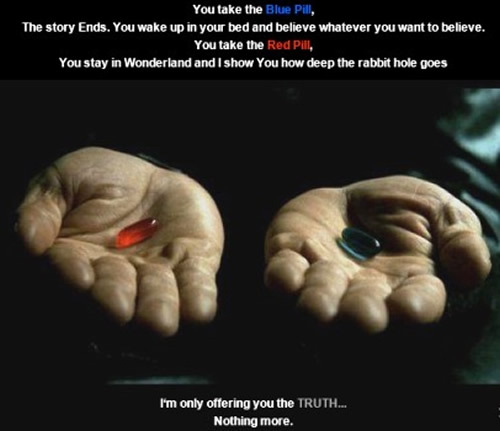 Which is why I am not attached to any technical tool or theory and more than capable of ripping apart EVERY tool I use, as I am only interested in what is the most probable market outcome, that is my focus, not pretending that squiggly lines on a chart are the holy grail, that many try to sell to the gullible. Know this - The best way to learn technical analysis is without readign a single book on technical analysis! I read your piece on how you beat the 1987 crash. What transpired next? Your article enlightend me, especially how you recorded the OHLC prices every hour (this is starting to work for me, thanks!). I hope I am not asking a too personal question, but I really would be interested in how a traders career progresses. I have no doubt it is tough! Nadeem "I KNOW Technical analysis on its own is USELESS". There is a whole bunch of people who trade the markets daily, using TA exclusively. They make a living and don't give a damn about fundamental chatter on cnbc news. On various time frames, using various methods. The best example I know is Linda B Raschke who has been trading the markets technically since the 80's and made serious money, now she manages her own fund. She probably thinks that fundamental analysis in itself is useless lol. Also she is recommending many must read books about market technical internals widely unknown to the public. Christopher Terry is one of people whom Linda saved from trading failure, now Chris is helping others to analyze the price technically. Both Linda and Nedeem are rare species - making money in the markets and helping others, in the plethora of useless writers, failed or wannabe traders, posers and insiders i.e, G. Soros. Don't give up on technical trading if you are inclined to it, but bare in mind that it takes 3 years to become a consistent trader, some will never achieve it, because it's not all about the market, but psychology too. I agree, Nadeem. Inflation is constantly under reported; it's in governments' interests that this remain so. Just look at the hike in energy costs over the last few years (recent dip in crude prices notwithstanding). Energy costs feed through into pushing up prices for everything else. There is no deflation, nor prospect of same, neither today, tomorrow or as far as the eye can see and nor will there be all the time real interest rates remain negative. Plus every time there's another dollar, pound or euro printed, the situation becomes ever more exacerbated. I can see no end to it all. I could write a book and probably will one day. Basically I think there is no short-cut, I think people need to get the TA out of their system and realise successful trading has nothing to do with TA. It seems to me the markets are like one big auction. Nobody knows for sure where the markets will ultimately go. How do you think one achieves some order out of chaos in these uncertain times? Sadly, I don't have the time to trade as often as I did, but I would be interested to learn some of the methods or tips you have found useful over your "25 years of trading". A trader should always be willing to learn new things and expand his/her knowledge. The more I know, the more I realise how much I don't know and how much I still need to learn. What would be your top ten tips for the budding trader trying to navigate his way through these tumultuous times? Seriously, I would be interested to know. Some of your previous articles have caught my attention. Well done to you for having the courage of your convictions. 1981? or the newer one? i'd argue we're in a deflationary depression given the US shadow banking system is dead and won't recover the $6trillion its already deleveraged since 2008 and this is set to continue. The printing is to try to counteract the deflationary forces at work i.e banks, people deleveraging debt.....we're following Japan and not some rapid inflationary environent if we were banks/people would be going further into debt they're doing the opposite, only govts are taking on additional debt to counteract this deflation in the business cycle. Time to skew probability towards the long side with him in the headlines again? 09 Jul 12, 15:57 Dr Doom is Doomed! Sure, do the opposite of what Dr Doom says and you will likely win 90% of the time ! offcourse Dr doom only remembers the 10% of what he said. As ever, always be aware of media whores, the greater the celebretary the more BS they tend to spout aimed at selling garbage that does not work.